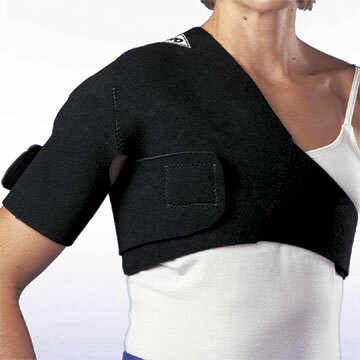 This universal fit shoulder support is designed to provide therapeutic heat to the shoulder area to provide symptomatic relief for strains, bursitis, arthritis and tendonitis. Easy to slide on and adjust. Available in small and large, refer to the size chart based on chest measurement. 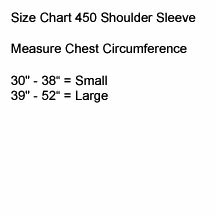 Fits right or left shoulder. Available in black N2 material only. 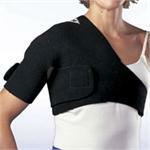 Great help with my shoulder surgery...Pain and infamation. if you have a shoulder problem, pain, range of motion issues, this is not going to help because it' not designed to be put on by a person without extraordinary flexibility. Oh; and it doesn't come with instructions on how to fit it, either.